I am thrilled to join the Wells Maltings Trust as Art Advisor. 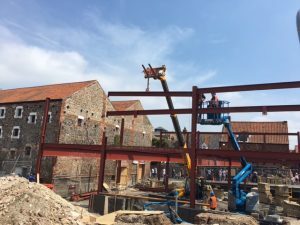 The Wells Maltings is a historic Grade II listed building in Saithe Street, Wells next the Sea, Norfolk currently being redeveloped to create North Norfolk’s Premier Arts & Heritage Centre. I am devising a programme of exhibitions and arts events for the new art space, under construction and due to open Spring 2018. This entry was posted in current projects, Wells Maltings and tagged Art gallery wells next the sea, Wells Maltings. Bookmark the permalink.